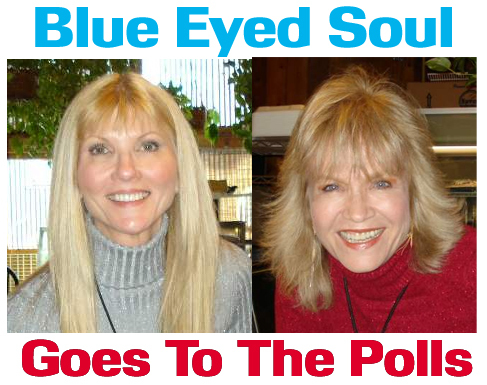 TALK ABOUT POP MUSIC: Lindsay Bloom (above left) and Michelle DellaFave (above right) are stirring quite a buzz for their upcoming meta-Dingalings CD by letting their fans vote on their choice of album cover, and even giving them a chance to devise a title for group Blue Eyed Soul’s first full-length disc release. As has been noted on the pages of the Super Site, those sweetheart sirens of soulful splendor, Michelle DellaFave and Lindsay Bloom — who first met up in the early ’70s as members of The Dingaling Sisters on The Dean Martin Show — have been in the recording studio in recent weeks, cutting what is not only their first album together, but indeed, the first ever made by descendants of the Dings Dynasty. The nine tracks that they’ve been laying down will be the featured set on the forthcoming debut CD of their much-in-demand new act, Blue Eyed Soul. But trying to assemble artwork for that album has presented the group’s Manager, Wes Guidry, with a perplexing dilemma — in fact, precisely the kind that any music exec would wish for — namely that given so many great shots of these picture-perfect gals to work with, and therefore, such a rich palette of options from which to select themes and backgrounds to showcase them, Wes is faced with an embarrassment of riches in attempting to decide which photo to pick for the cover. THE POLLS HAVE NOW CLOSED. CLICK HERE TO GO TO THE BES SITE, THEN SCROLL DOWN THE HOME PAGE, TO REVEAL THE WINNER. WITH A LITTLE HELP FROM THEIR FRIENDS: The quandary for Blue Eyed Soul Manager Wes Guidry (above center) is selecting the crème de la crème from all of the available images for Michelle and Lindsay’s album cover. So the ladies are throwing it open to the public, for their fans to decide. 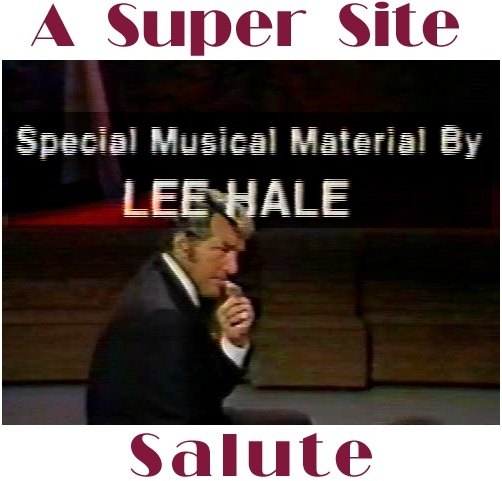 A second way in which those who’d like to participate in this effort can do so is to suggest a TITLE for the premiere Blue Eyed Soul album. For this one, entries are being accepted only through the GoldsAndDings Group message board, and in order to take part in that forum, membership in the group is a prerequisite. However, for those who don’t already belong but would like to, it’s easy to join, it’s free, and there are no strings attached. Just visit GoldsAndDings to enroll. Should some clever individual actually conjure up an album title that Michelle and Lindsay choose to use, that person will win a free copy of Blue Eyed Soul’s CD before it’s even released, plus an accompanying 8 x 10 photo, with both items personally autographed by the gals. Michelle and Lindsay are both very excited about having their friends and supporters play an integral part in putting the finishing touches on their upcoming CD, and they extend a warm welcome to everyone — including their Golddiggers and Dingaling Sisters peers — to join the fun. COMFY AND COZY, SIDE BY SIDE: Michelle and Lindsay are making history as the first of Dean Martin’s Dingaling Sisters ever to record an album together. And collaborating once again, even after all of these years, feels to both of them as though they’ve picked up right where they left off, without missing a beat. This entry was posted on Tuesday, June 24th, 2008 at 8:43 am and is filed under Uncategorized. You can follow any responses to this entry through the RSS 2.0 feed. Responses are currently closed, but you can trackback from your own site.